The architecture in Tuscany in Abacoa is reminiscent of the Italian region. This community offers over 450 Mediterranean inspired single-family homes and townhomes. Built by the very reliable Divosta company, there are 6 floor plans to choose from here, thus giving an array of options to suit the needs of many. The community offers a playground, community pool and clubhouse to facilitate the gatherings of these friendly neighbors. Families enjoy its close proximity to Independence Middle School. Also nearby is the Abacoa Community Park offering an awesome skate ramp, tennis and basketball courts, a playground and rec fields. 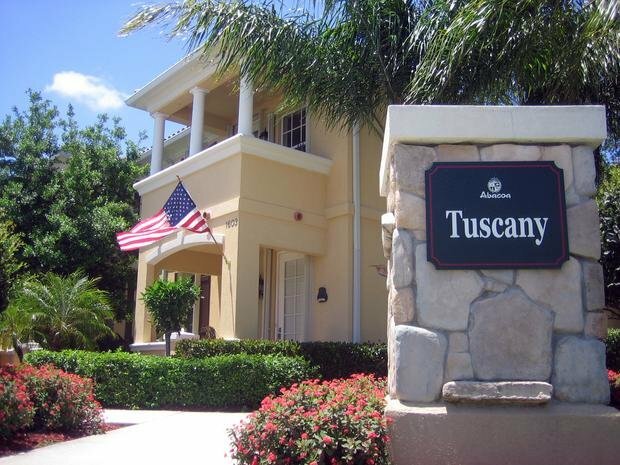 Located very near Abacoa Town Center, Tuscany's residents can easily walk or bike to many different local restaurants and shops, watch Minor League baseball games and Major League Spring Training at Roger Dean Stadium, enjoy live music and entertainment at Abacoa’s amphitheatre and join in the ultimate picnic once a month with the Food Truck Invasion. Also close by are a skate park, football and soccer fields, basketball and racquetball courts, the library, aquatic center and much more!